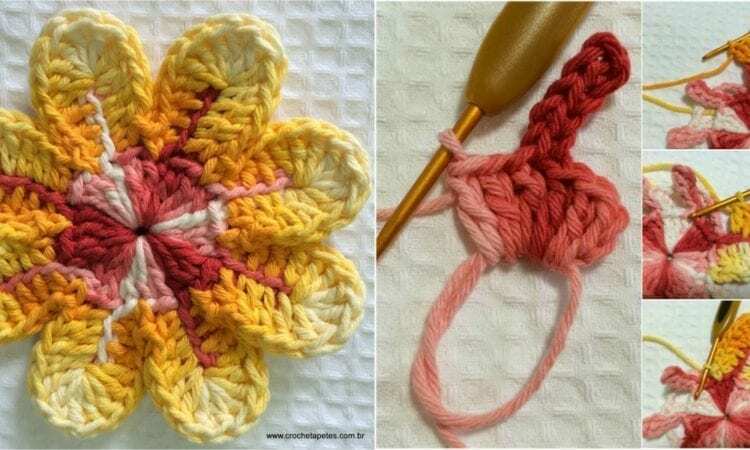 This amazing stitch is quite easy to make. Start with magic ring and further work will go fluently. Follow the full step by step tutorial and it will be very easy to crochet. For more free designs every day follow us on Facebook. The Link to the pattern is below. Shades of Gold Flower Stitch – visit the free pattern site. Love the patterns. Picture tutorial is great to look as you go.